Mahaprabhu taught us how to chant. “Take this verse, put it on the string of holy names and wear it always. 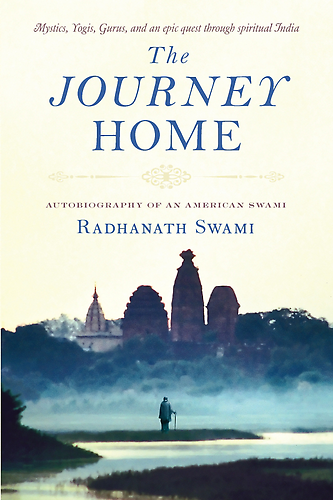 Recently I heard about my god-sister, she was living Vrindavan and was a super excellent cook. “That is the only way to overcome all of these obstacles; remember this verse always.” And then Prabhupada left the room. Hare Krishna! And she was completely ecstatic; In fact she was so ecstatic that she tattooed that verse all over her body, so she wouldn’t forget it. Now please ladies… don’t’ do that! You cannot imitate the great souls, but you can follow in the footsteps by trying to never forget that verse. 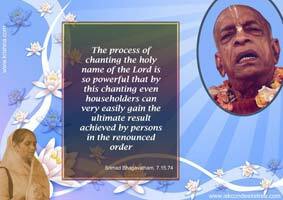 So this is Chaitanya Mahaprabhu’s essential instructions of how to always chant the holy names. We repeated often, but it’s difficult; we forget. To be humble like the grass, tolerant like the tree, offer all respect to others and really not expect respect in return. Unless we really, really strive for this state of consciousness, it’s not possible to really access the unlimited mercy of the holy name which reveals Radha and Krsna’s full opulences to the devotee. The holy name alone in the age of kali can transport the soul to the highest realm of Goloka, without even leaving this body. That is the power. In this life we can be transported to Goloka. 7 Responses to "Lord Chaitanya taught us how to chant the holy names"
Wonderful message and great learning! Very wonderful message, but very difficult to follow. We are always expecting respect without giving it. If we are able to follow this principle, our lives would be much easier and happier. During the course of my attempt to implement this principle – i really have a very tough time. Although i may have heard this hundreds of times but still we forget it and become carried away by negative emotions. But one formula that i have learnt is to become “Humble like a Blade of Grass” or “to become tolerant like tree” it is very important that we develop respect for every individuals with whom we deal with. I feel it is best practice to be followed not only for spiritualist but to everyone. 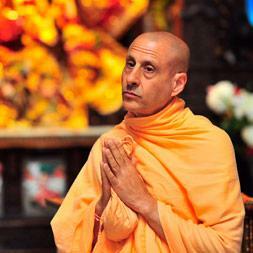 Radhanath Swami has wonderfully describe the small story of Srila Prabhupad and his disciples. Just to make our self be humble and go give respect to everyone is one of most important good practice to be followed by every one. And any good practice requires to followed to make it our habit.